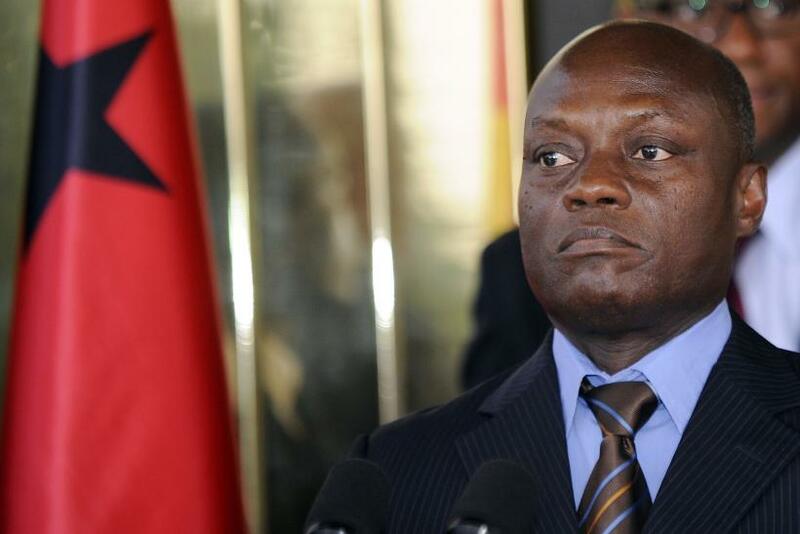 Political fault lines reopened in Guinea-Bissau this week after President Jose Mario Vaz sacked the government of the fragile West African country amid a mounting power struggle with the prime minister. But while political rows are nothing new in the narco-state, this latest crisis could finally cost the impoverished country millions of much-needed aid dollars. Still haunted by a past of civil war and coups d’état, Guinea-Bissau seems headed for yet another political struggle with grave repercussions. International donors, including the European Union, pledged $1.1 billion in March for Guinea-Bissau to support a 10-year development plan after years of political instability. Portugal, the former colonial power of Guinea-Bissau, warned Tuesday the aid dollars could be at risk if the tiny West African nation reverts to turmoil. Guinea-Bissau is no stranger to international sanctions, but experts said losing out on more than a billion dollars in aid would deepen the country’s political, economic and social strife. Vaz announced his decision late Wednesday to immediately dismiss Prime Minister Domingos Simoes Pereira and his cabinet over “a breach of trust.” Although both Vaz and Pereira belong to the ruling political party, they were former rivals for the party’s leadership in 2014 and their overlapping powers in Guinea-Bissau’s semi-presidential system have fueled tensions. They have also disputed the appointment of a new armed forces chief, according to Agence France-Presse. “It is public knowledge that there is a crisis undermining the proper working of institutions,” Vaz said in a broadcast to the nation late Wednesday. Since winning its independence from Portugal in 1974, Guinea-Bissau has seen a bitter civil war and at least nine coups or coup attempts. No elected president in Guinea-Bissau has successfully served a full five-year term. With few natural resources and a population of roughly 1.7 million, the country located in West Africa’s corner is one of the poorest and least developed in the world. Guinea-Bissau’s illicit drug trade has generated more revenue than the national income. The average Bissau-Guinean earns less than $2 per day, which is considered business class, and clean water, reliable electricity and consistent income remains out of reach for most, Lundy said. But the former Portuguese colony has secured some investment and infrastructure projects in recent years, including refurbished roads, government offices and private businesses. Guinea-Bissau’s economic growth was expected to hit 4.7 percent in 2015, up from 2.6 percent last year. The 2014 elections, which restored civilian rule after a two-year military coup, were crowned a democratic success, and upon becoming the country's president Vaz restored political ties with the European Union. “Life in Guinea-Bissau remains tenuous with some cautious optimism reported under the new administration,” said Lundy, who conducted a recent field survey among 144 Bissau businesses, a majority of which had opened since 2003. However, the country’s plan for major development in the next decade could be derailed if Vaz’s spat with the premier causes the international community to pull support. 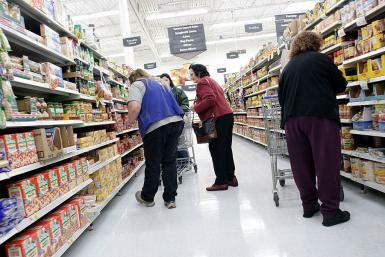 The United Nations Security Council on Wednesday noted the country's brewing crisis and said the aid dollars pledged in March would "require a political environment in order to most effectively materialize." Since firing his entire cabinet and accusing Pereira of undermining the government’s functioning, Vaz has not yet made clear his next move. The government cannot afford to hold new elections and a cabinet reshuffle alone might not restore domestic confidence in Guinea-Bissau’s leadership. That makes the political climate prime for another military coup, experts said. Although small in size, Guinea-Bissau’s military has wielded considerable power and profits. Army elites have staged a number of coups to seize power amid tensions with the nation's leaders. 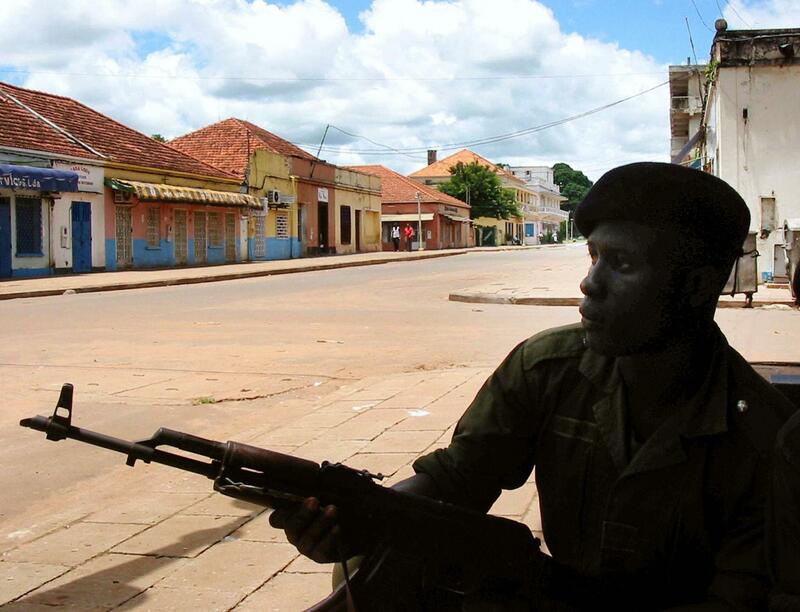 In 2009, Bissau-Guinean soldiers reportedly shot and killed then-President Jao Bernardo Viera, whom they accused of killing army chief Gen. Batista Tagme Na Wai. The military consumes 3 percent of the state budget, a substantial sum for a small, developing nation in comparison to military budgets elsewhere on the African continent. Military officials generate additional revenues and resources off the books through illicit trading, which has helped the country earn its reputation as Africa’s premier narco-state. 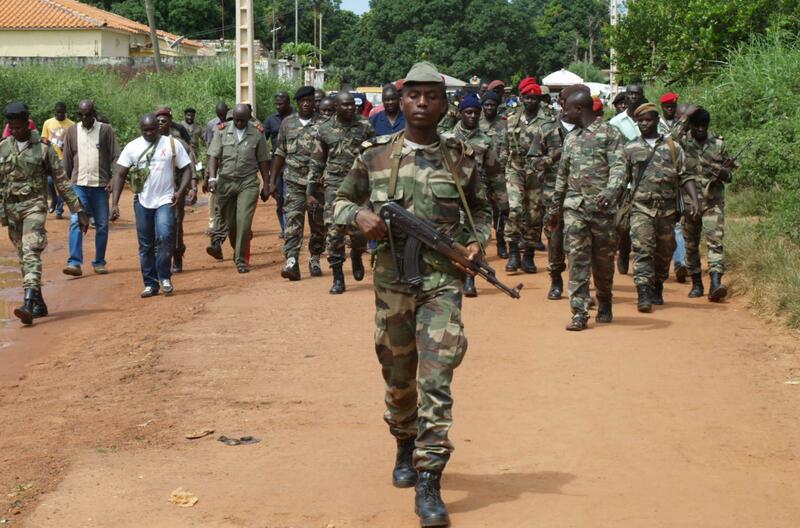 In 2013, the former heads of Guinea-Bissau’s armed forces were indicted on cocaine and weapons-trafficking charges. Apart from cracking down on illegal trade, the international community appears largely disinterested in Guinea-Bissau, which borders Guinea and Senegal. The country’s main trading partners are India and Nigeria, with roughly $250 million in Guinea-Bissau’s exports coming from raw cashew nuts, fish and timber. Former colonial power Portugal remains its No.1 source for imports. Experts said it would not be difficult for countries to sever aid and trading ties with Guinea-Bissau if civilian rule went sour again. “The international community has to be careful with how reliant the country is on aid," said J. Peter Pham, director of the Africa Center at the Atlantic Council think tank in Washington, D.C. "You cut off resources and people get more restive. You might get even more problems."